Nancy Singleton Hachisu, author of Japanese Farm Food, names six key ingredients to have on hand. 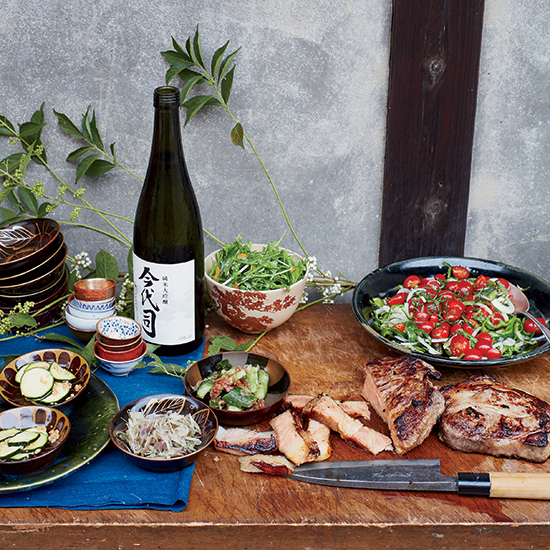 Nancy Singleton Hachisu, author of Japanese Farm Food, names six key ingredients to have on hand. Find them at East Asian groceries or check Nancy’s favorite online sources, goldminenaturalfoods.com and naturalimport.com. Intensely flavored sour plums that have been pickled and dried. Shavings of a dried, tuna-like fish. A pungent, aromatic herb with large, serrated, slightly sweet and peppery leaves. A small, fragrant yellow citrus fruit with a sweet-tart flavor. A seasoning paste made from fermented rice soaked in soy sauce. A seasoning paste made from fermented rice soaked in saltwater.